Videoslots.com is a new online casino platform powered by Betsoft, MicroGaming, Blue Gem Gaming, Play ‘n’ Go, NextGen Gaming and a few more and with a developers list like that you would certainly expect Videoslots to be a serious contender in the online casino market, and it certainly doesn’t disappoint on that front. Videoslots have a big potential market with only a very select few countries not being eligible to play on the site, namely The United State, Denmark, Belgium, Turkey, South Africa and Israel. And to accommodate all of the different countries they have a vast list of languages to choose from on the website including but not limited to; English, Swedish, Norwegian and German. The site looks like your typical online casino with lots of bold and brash colours, powerful graphics and a busy, interesting wallpaper behind the actual website functionality. The website is easy to use and there are some huge jackpots on offer which are sure to have even the most hardened gambler wistfully dreaming of that wedge of Caribbean paradise that hitting a jackpot could afford. 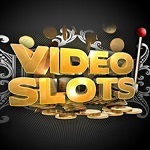 You receive welcome spins at Videoslots when you register and make a deposit which you can use on any of the slot games you fancy. How valuable welcome spins are in this situation is still to be decided but it’s a nice gesture nonetheless. 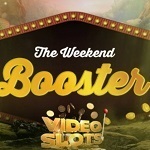 You will also get some extra welcome spins once you become a active player at Videoslots through their reward program. Below is a part of Videoslots T&C. Read full version here. •You will receive 11 welcome spins in a random game upon first deposit. •You have 7 days to activate the bonus, once activated welcome spins must be used within 24 hours. •You must be 18 or over to play and 21 in countries where that is the minimum age by law. • We will match your deposit up to €200 on your first deposit. • £10 minimum deposit required. • You are required to wager the bonus amount 20 times before you can withdraw the bonus funds. • Bonus will be paid out in 10% increments to your cash account. • Jackpot games do not contribute to the conversion. • Maximum bet per spin is either 50% of your deposit up to €20. • You must be 18 or over to play and 21 in countries where that is the minimum age by law. 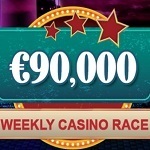 • You will receive €10 bonus cash from us when you make your first minimum deposit of €10. • You are required to wager the bonus amount 25 times before you can withdraw the bonus funds. Videoslots offer a few different forms of bonus upon signing up. There is the deposit bonus where Videoslots will give you a bonus up to a certain amount based on the value of your deposit. This is a great way to boost your wallet size straight away and give you much more money to play with. On top of these bonuses there are a whole host of cash back bonuses on various games. These usually revolve around giving you a certain amount of cash back when you place a wager on the slots games but they change all the time so the best thing to do would be to keep on top of the promotions pages and keep an eye on their twitter feed and you’ll be sure to take advantage of one of the most generous online casinos on the market. It took a while for Videoslots to offer a mobile casino but now that they do, it is quite good. As can be expected, the mobile version is available for Android and iOS devices and it works well on both operating systems. That being said, it is obviously designed for the smartphone screen and not the tablet – it looks significantly better on a smaller screen. 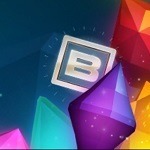 Most tablets can however handle the browser version, so it shouldn’t be a problem for the dedicated gambler on the go. The games at Videoslots are as you would expect, very video slot heavy. You can play some of the favourites from MicroGaming such as Thunderstruck 2 and Immortal Romance as well as some of the favourites from Blue Gem Gaming, Betsoft and loads of others. Its not solely Videoslots though as there are also a good selection of table games such as one of the 20 variations of blackjack, endless variations of baccarat and more different types of poker than you could care to mention. Any gambler will be able to find something to suit them here. The support at Videoslots has been highly regarded since launching with a fantastic live chat feature for almost instant responses, a call back feature to save you time and money on the phone and an email response that normally occurs within 12 hours. More importantly perhaps though is the fact that the support team can be reached at all hours of the day, seven days a week so whenever you have a problem, there will be someone there to help you out, which gives you that nice warming reassured feeling. You can pay deposits and receive withdrawals to and from Videoslots in a plethora of different methods, including but not limited to; Bank wire transfer, Neteller, Visa, Master Card and a whole load more. Money is normally deposited almost instantly and it takes up to a couple of working days to receive withdrawals which is fair enough. It is important to remember that players can only withdraw up to a maximum limit of 10 000 each month. If you do reach that limit can you let me know your secret please? Question: Why am I being asked to verify my mobile number? Answer: This is an important safety measure put into place by Videoslots to confirm that you are who you say you are. You have to complete this step during the registration process to ensure that you are only creating one account. Make sure you use the same number when you make a deposit through your credit card. Question: Do I need to submit documents to withdraw my winnings? Answer: Yes but you only need to do this for the first withdrawal or every time you have to cash out a huge amount. This is for your safety, to ensure that the right person is withdrawing your money. You just have to upload documents that will prove your identity and address. You can upload the documents and see the various criteria under the “My Documents” on your profile. Question: What is the deposit process? Answer: Log into your account and go to the “Accountslip” tab on your profile. You have to fill in the required information and choose your preferred payment method among the choices provided. Once completed, the amount you indicated should immediately be credited to your account. Question: What is the withdrawal process? Answer: Go to the “Accountslip” tab and click the “withdraw” button. Just follow the directions and provide the information needed. If you have verified your account, the process should be fast and straightforward. Question: Can you help me control my gambling? Answer: Yes there is a “Responsible Gaming” feature on the site that will help you set limits to your gambling. You can impose limits on deposits, wagers, losses, etc. There is also a feature where you can set a time-out that will leave you unable to access your account for a certain amount of time.